Conditions in your garden are constantly changing. Know what’s happening in real time so you can keep your plants healthy. The Smart vegetable Garden tracks light, humidity, temperature, soil moisture from sensors and then cross-references this information through Wi-Fi with plant databases on server, and the nearest weather station to give customized gardening guidance about irrigation and plant’s health on smart phone through application. This is what it means "Your Garden has just got smarter! The selected system architecture is based on three layers which are listed below in the diagram these three layers includes physical layer, network layer and application layer. Physical layer includes all the hardware device such as sensors, actuators, microcontrollers & Wi-Fi modules. After that network layer comes it contains networking components present in the system .It provides transmission of data between users and hardware devices through remote server also provides resource handling and high level processing. At top level there is application layer which is based on major features provided by system which are as follow plant monitoring, irrigation/light controlling and recommendations about plants and it also focus on interface shown up at user level which will be further explained in section 4. The following Deployment diagram represent the view of physical components of system. It contains all the hardware devices and architecture of smart vegetable garden system as deployed in real world environment. As shown in figure on the leftmost side there are light and moisture sensors which are connected through analog input with microcontroller same as humidity, camera and temperature sensors are connected through digital input. On the other hand actuators (water pump and lights) are connected to serial output of microcontroller, here microcontroller work as a centralized device which takes input from sensors and transmit this information towards server through internet. Server process the data provided by microcontroller so that users can view it through an android application or a web browser in response user perform some actions which will be transmitted to server through internet, then server send specified command to microcontroller and finally actuators perform action. The best way for the user to monitor the garden would be through a mobile application. For this we are going to develop an android application because of its86.8% global market share. Following are some key modules of the system. This module is an intelligent agent which will be provided with data, then it will gets real time values from sensors implanted in your garden to predicts which plants can be grown, which fertilizer to be use, when to trim, estimated time to harvest, is the season is appropriate to germinate desired plant and appropriate schedules for irrigation. The system will also get the feedback from a user against suggested guidelines to improve performance in future. 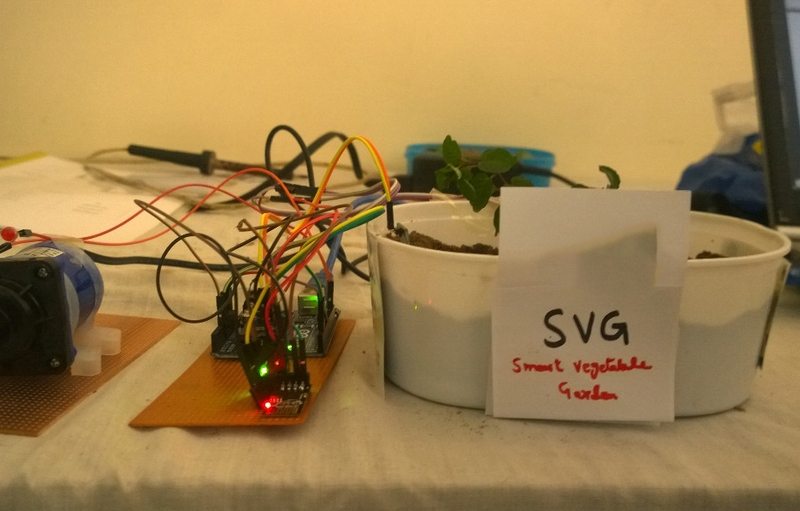 Monitor and interact with your plants in real time right from your smart phone .This module collect the data from sensors and saves it on the server so that it will be available online to make it ready for user to monitor and control garden from anywhere. After collecting the data from sensor, system will analyze the data to generate useful information which will help to take effective decision about generating watering schedule and turn ON the water pump on specific time. Optionally can be connected to garden's lighting circuit. The major focus of developing this system is to make our ecosystem healthy through grabbing the intention of people towards gardening by making it smarter as well as time and cost effective. Following are some major expected out comes. The proposed system will be able to plan the proper watering schedule intelligently. As the system utilizes the electricity only when required, to reduce power consumption it will also suggest fertilizer usage & other required maintenance on the basis of analyzed data so it will ultimately reduce cost. As system is providing the most essentials of plants meanwhile such as when to water them and when fertilizer to be used, so it will eventually increase the yield of garden. To get the maximum plant productivity, Smart vegetable gardening is suitable solution. Smart vegetable gardening also has a potential for healthy food. The obvious advantage is pesticide free production and availability at door step. 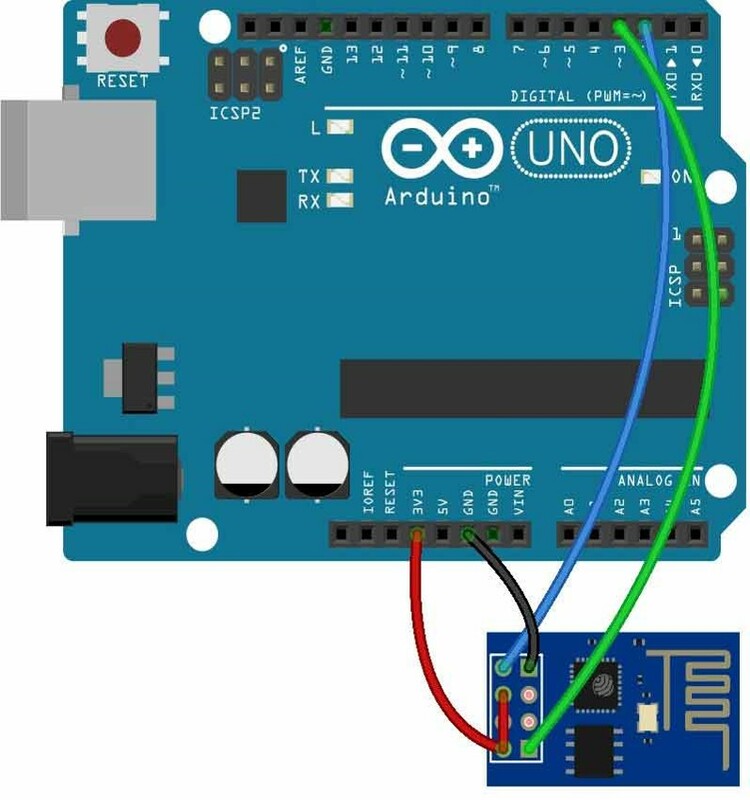 Ardiouno Uno R3 code to send data from esp-8266 to web server. To Control Water pump remotely Alexa Power component can be used. data = "temp="+temp+"&hum="+hum+"&light="+Light+"&moist="+Moist;// data sent must be under this form //name1=value1&name2=value2. I am a software engineering &. I Do not seek to change what has come before. I Seek to create that which has not.